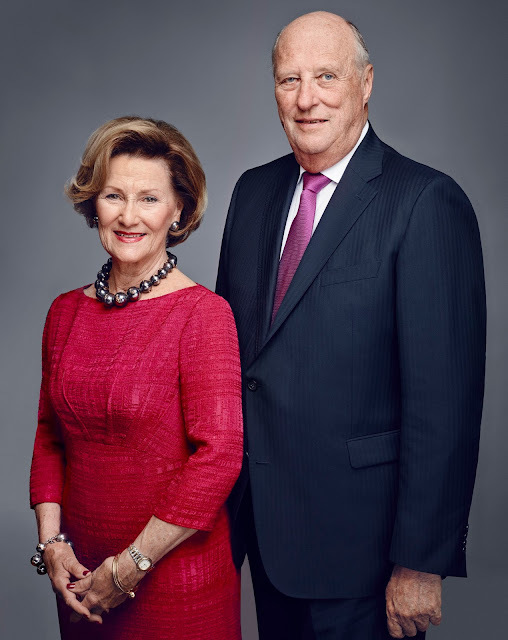 King Harald V and Queen Sonja of Norway marked 25 years on the throne on January 17th 2016 with a winter games celebration, a church service and a special concert as well as family and formal gala celebrations. It was a truly happy day and tributes for the royal couple poured in across Norway and beyond. This weeks' royal fashion was all about long and layers. We had three great evening looks which took on below the knee in different ways. And there were a couple of daytime outfits that showed adding layers can add chic to any look. Here are five stand out looks from this week's Royal Wardrobe. Princess Sofia gave us an evening look that is already a stand out of 2016 as she attended the Swedish Sports Gala 2016. Her long, dark navy maternity gown will take some beating and would suit any gala event. Totally fabulous. Princess Charlene of Monaco layered up to attend an evening ceremony marking the feast of St Devota. Her beige and grey mix looked perfect on a crisp winter's evening. Prince Harry had a couple of centuries to think about on his latest public appearance. 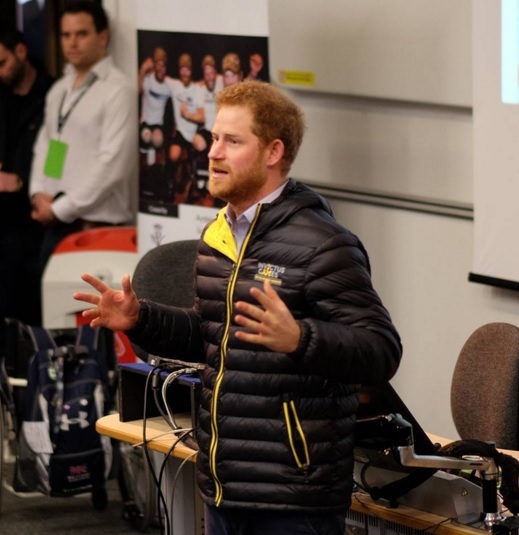 Heading to the trials for the Invictus Games in Bath, he watched hundreds of hopefuls compete for exactly 100 places in the British team as the countdown to the event hit 100 days and counting. The trials will last three days, ending on Sunday, and will see the final team for the second Invictus Games take shape. Competitors are vying for the chance to represent Britain in the ten sports that will feature in the Games which are being held in Orlando. Crown Princess Mary wasn't just back in action yesterday, she was already making plans for the future. Mary attended a New Year Reception for Women Deliver in Copenhagen - and heard more about their conference being held in the city in May. Women Deliver is an international organisation working towards improving health, education and social rights for women and girls around the world. Its conference takes place in Copenhagen between May 16th and 19th this year and will focus particularly on health issues. 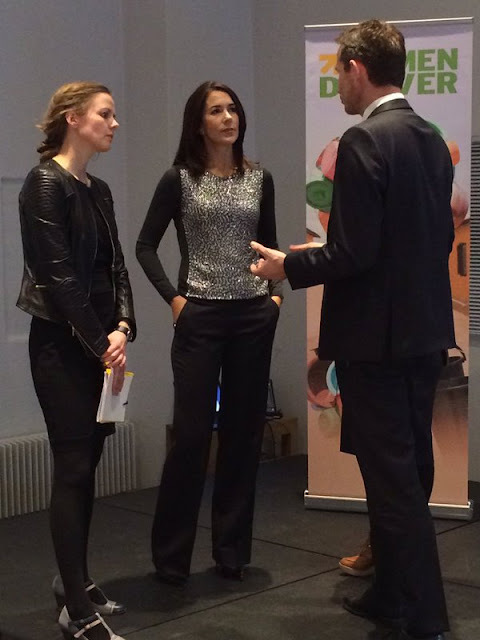 Crown Princess Mary will be one of the speakers. She may have mourned, she may have breathed a huge sigh of relief. 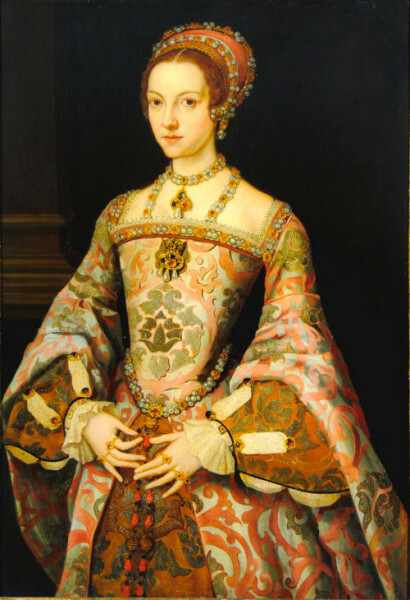 For on this day, in 1547, Katherine Parr became the Dowager Queen of England, Somehow, the sixth wife of Henry VIII had survived him with her head and her crown intact. She had been very lucky indeed but widowhood would prove to be as dangerous for Katherine as married life had been. The Prince of Wales and the Duchess of Cornwall have taken to the stage to declare the oldest surviving music hall in the world open again. 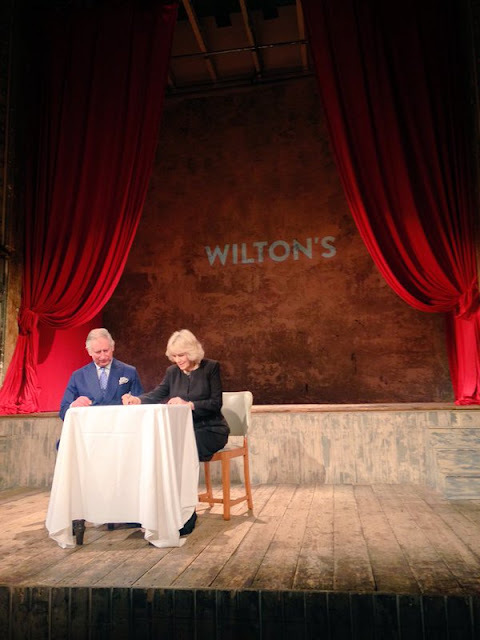 Charles and Camilla were at Wilton's Music Hall in east London to see the extensive renovation work that has returned this historic building to its former glory. Queen Maxima opened the International Rotterdam Film Festival last night but the headlines were all about her. The Dutch queen chose an outfit by Etro that stood out in more ways than one. There were quite a few film stars at the event but no one came close to taking the lead - Maxima outshone them all. The Rotterdam International Film Festival focuses on cutting edge material, works by independent film makers and experimental material from emerging talents. So this was never going to be a little black dress event. 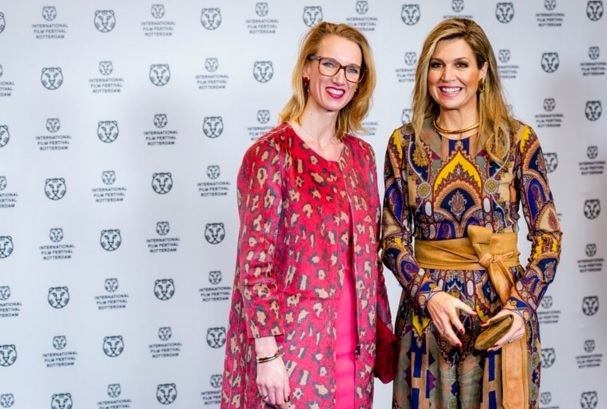 But Queen Maxima's choice of on trend print with even more on trend wide leg trousers summed up the spirit of the event and turned her into the film festival's star. Queen Maxima's stunning outfit worn last night for the opening of the Rotterdam International Film Festival is a reminder, if we needed one, that when it comes to stand out trousers then this consort is the one to beat. From hot colours to hot prints, Maxima knows how to choose a pair of trousers no one will ever forget. Here are 5 of her best looks. It's red, it's Valentino. Queen Maxima chose this striking trouser suit in September 2015 and was on to another winner. The end of January usually sees Monaco's royals taking part in the traditional ceremony for Saint Devote, patron saint of the principality. 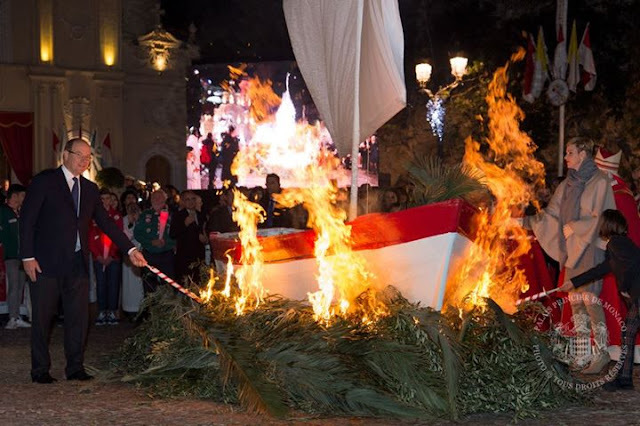 And a big part of that tradition is the moment when the royal guests set fire to a boat. This year Prince Albert II and Princess Charlene did the honours and the images were pretty spectacular. Here are five moments we've seen royals with flames. Queen Mathilde has really hit a run of form when it comes to fashion and for her latest appearance she was in the pink. Her fuchsia dress, chosen for a diplomatic reception in Brussels, was block colour at its most elegant. But she's not the only royal to make this bright colour shine and sparkle. Here are 6 bright pink royal outfits that will live long in the memory. Crown Princess Mary wowed in her own fuchsia pink shift dress in September 2015. Like Mathilde she kept it simple and like the Belgian queen, she scored a big hit. Kate and William said they didn't know the gender of royal baby number two before Princess Charlotte arrived in May 2015 but the colour of the Duchess of Cambridge's coat on her final engagement before the birth proved to be spot on. And it is a pretty fine coat to boot. The best royal maternity evening gown ever? It's cool, it's classy, it's on trend, it's just really rather fantastic. 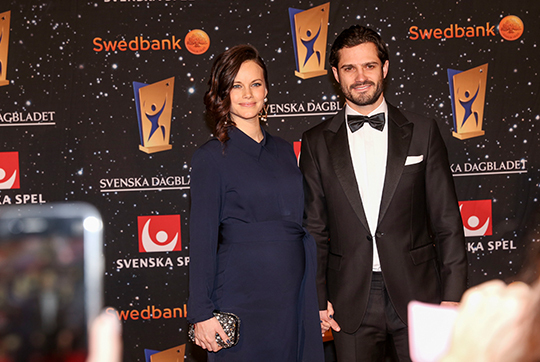 Princess Sofia stepped out at the Swedish Sports Gala 2016 tonight in a maternity gown to remember. In fact, it might just be the best royal mama in waiting evening look ever. Sofia's dress, in dark navy, just keeps on getting better with every look. It starts with a classic collar, adds long sleeves and the soft, draping material works perfectly on the top half. And then we get to the empire line belt. The belt is wide, it's the same colour and it sits across the top of Sofia's baby bump like a dream. Add in a long skirt with a slight flare and even a merest hint of a train and you have a maternity look that won't be bettered this side of Christmas. She already had plenty to celebrate as she marked her 43rd birthday in the week. 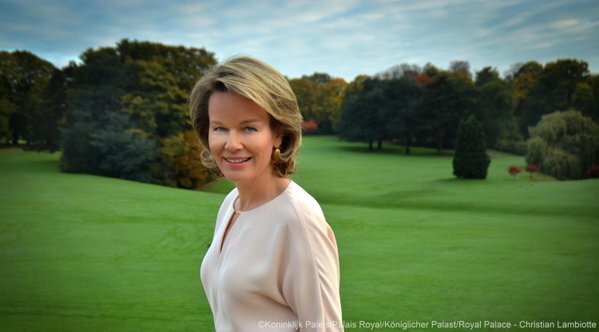 But the past seven days have been pretty special all round for Queen Mathilde of the Belgians. She took on a new role with the UN, enjoyed a high profile at the World Economic Forum in Davos and then ended up centre stage at a concert marking the Dutch Presidency of the EU in Brussels. Mathilde has had a marvellous week. It all began with an invitation from Ban Ki-Moon, Secretary General of the United Nations, to join the Sustainable Development Goals Advocacy Group which was officially launched at the World Economic Forum. The group of fifteen people will help the UN work towards realising the objectives on sustainable development it adopted in September 2015. Queen Mathilde accepted the invitation and will now sit on the group alongside Crown Princess Victoria of Sweden and pop star, Shakira. 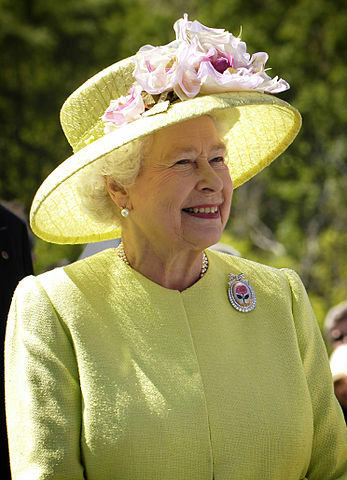 It's a traditional January engagement for the Queen and this year, it was a piece of cake. As she joined the Sandringham and West Newton Women's Institute for their meeting, as she nearly always does in the weeks after Christmas, the Queen was given her first birthday cake of the year. And as this is a big birthday with several big parties lined up, we can expect a lot more cake for the Queen in the weeks and months to come. The first delicacy to help her celebrate her 90th birthday, which takes place on April 21st, was an iced fruit cake. And her hosts also provided champagne to toast her big day with. And with the Women's Institute's stellar reputation for cake, this was a slice to savour as celebrations for her big day got under way - three months early. 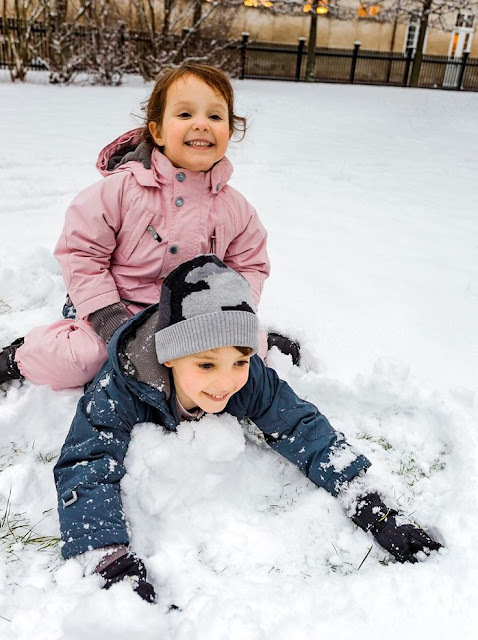 If you can't have fun in the snow when you are four, then when can you enjoy it? And Denmark's littlest princess is really enjoying it in a set of new photos taken to mark her fourth birthday. Athena Marguerite Francoise Marie of Denmark was born on January 24th 2012 at the Rigshospitalet in Copenhagen, the only daughter of Prince Joachim and Princess Marie. She is tenth in line to her country's throne. It's hard for kings, really, to make a fashion statement unless it's a crown and uniform kind of occasion. And King Willem-Alexander and King Philippe, two of the continent's newest monarchs, looked resigned to that as they attended an event together in Brussels last night. 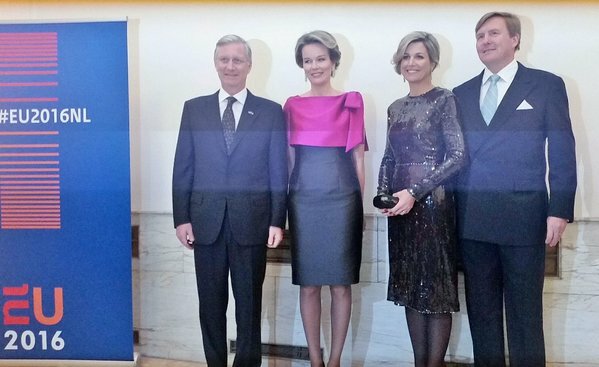 Queen Mathilde of the Belgians and Queen Maxima of the Netherlands stole the show at a concert held to mark the beginning of the Dutch Presidency of the EU. 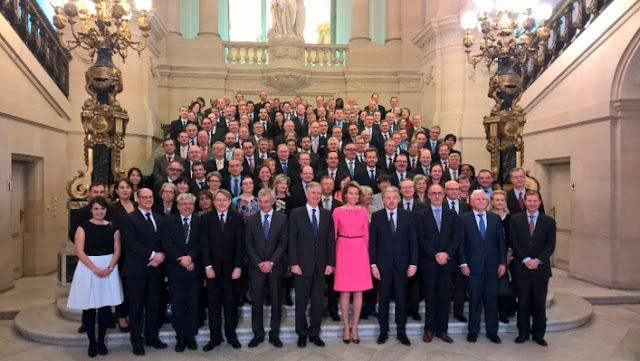 The Dutch King and Queen joined their Belgian counterparts at the concert held at the Palais des Beaux-Arts in Brussels and performed by the Dutch Royal Concertgebouw Orchestra. 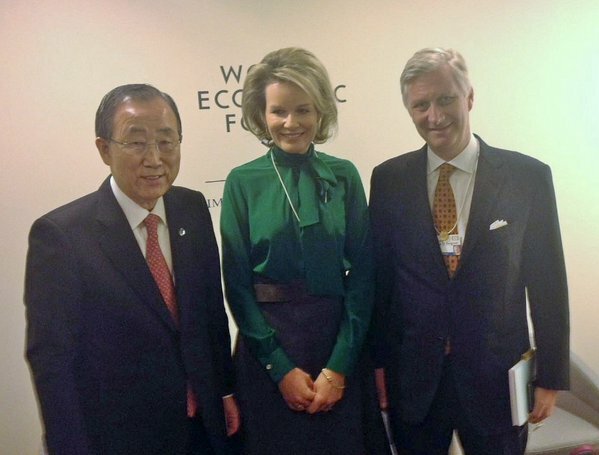 The Dutch Foreign Minister was also there but that didn't really matter either. Everyone was looking at Maxima and Mathilde. High neck blouses and bold colours was where the Royal Wardrobe was at this week. It all felt quite wintry so it must be January and the overall effect was understated elegance with a few little flourishes thrown in for good measure. Here are 5 looks that caught the eye this week. Queen Mathilde isn't the first royal to try the high neck bow blouse this year or even the first one to try it in dark green (see Queen Maxima last week) but she is the first to have to add a name badge and still make it look stunning. Add in an on trend A line skirt and big hair and you have a winner of a look. Birthday girl, Mathilde, rules this week. It was meant to be a private family holiday but when Princess Madeleine found photographers trying to get photos of her, her husband and their two children while they enjoyed their sunshine break she totally got the better of them. Madeleine posted some top snaps of the family on her Facebook page, making sure she was in charge and that there was no market for snatched images. Madeleine shared photos of Princess Leonore, who is about to turn two, and seven month old Prince Nicolas on her own social media account with the message ''Family time, sadly interrupted. What a pity we weren't just asked for photos, because here are some sweet ones.''. And she is right, they are really sweet. You wait months for a new royal portrait and then suddenly they all arrive at once. Just days after a fabulous photo album from Norway for King Harald's Jubilee and a super selection of birthday pics celebrating Princess Ingrid Alexandra of Norway's 12th birthday, the Swedish Royal Family have shared some new images. And one shows its newest princess, Sofia, sparkling.